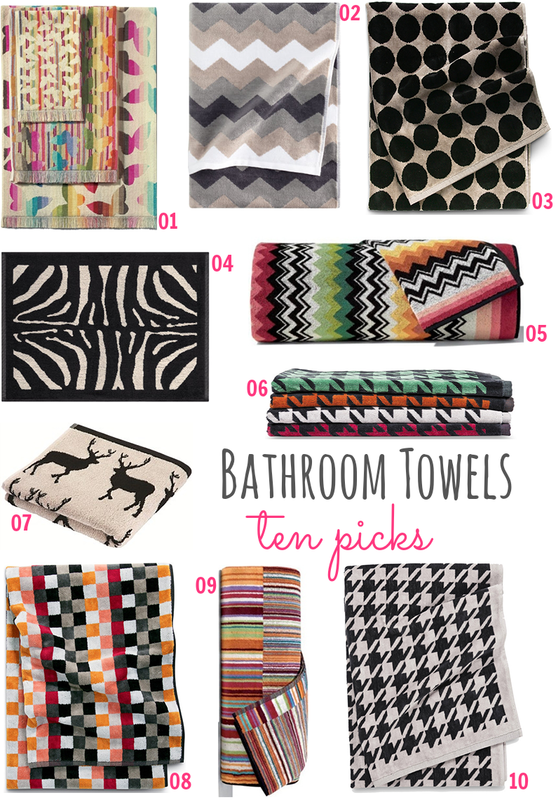 Bathroom towels are such an important accessory for the home. 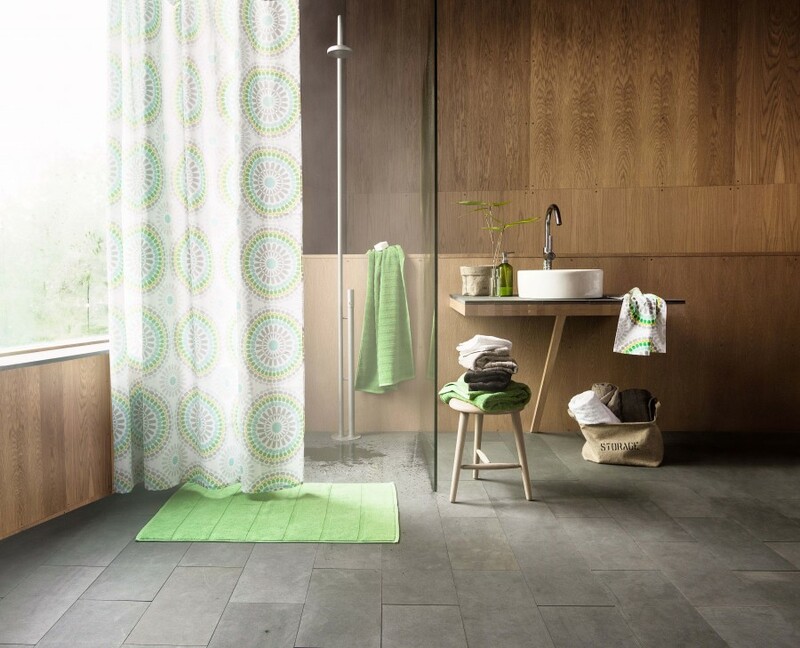 We see and use them everyday so it makes sense to invest in quality design that you love. 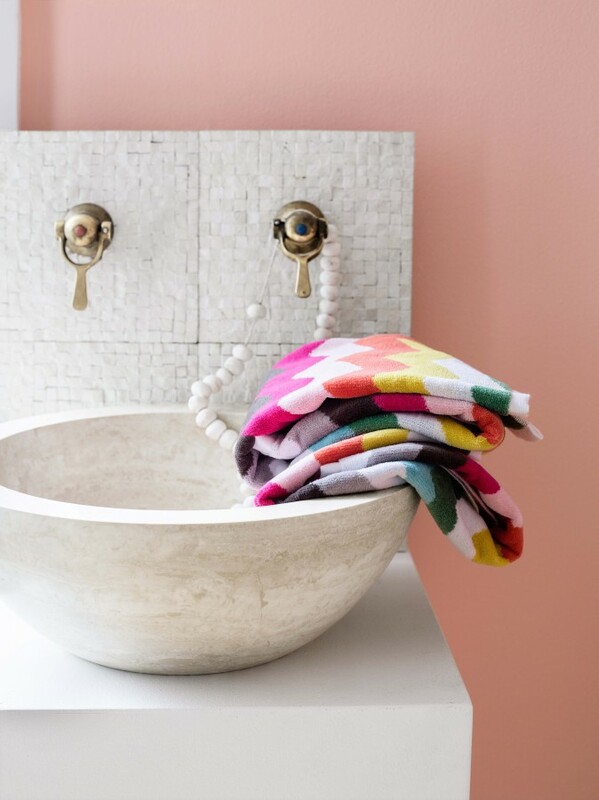 Ever since I bought a Missoni for Target hand towel from Collected some time ago I've been hankering for more brightly patterned towels. 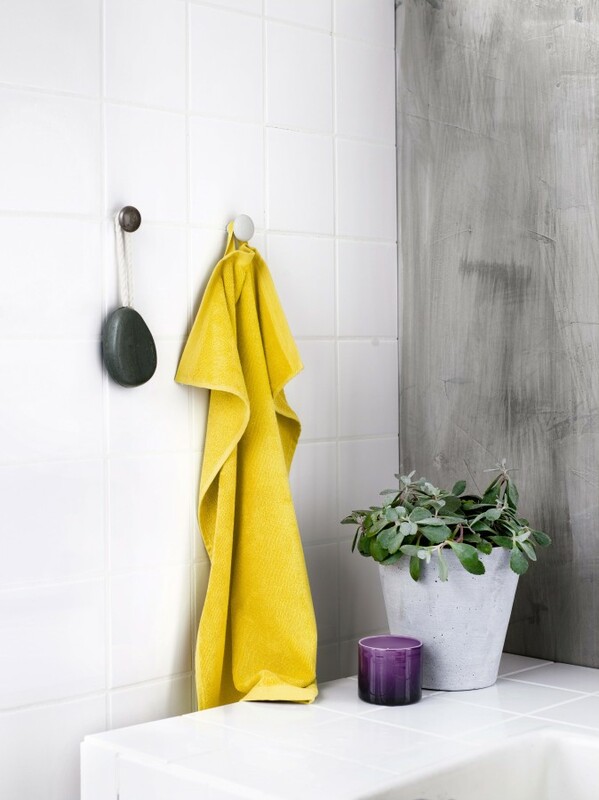 If you have an all-white bathroom or are looking to change things up a bit then towels provide an easy way of adding colour and personality, without having to do any major renovations. Even small details can make a big difference. 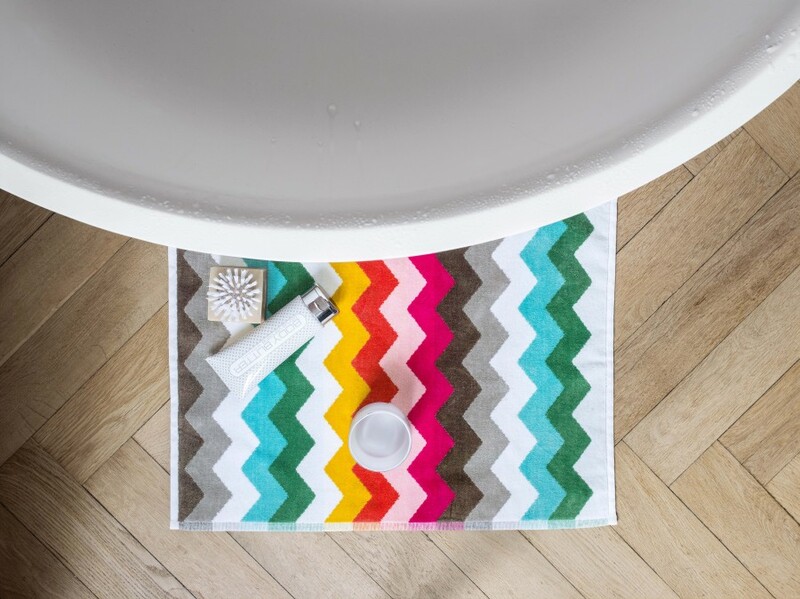 Gorgeous Missoni Towels add colour and interest to this all-white bathroom above, belonging to Norwegian blogger Cathrine of Trettien.com. 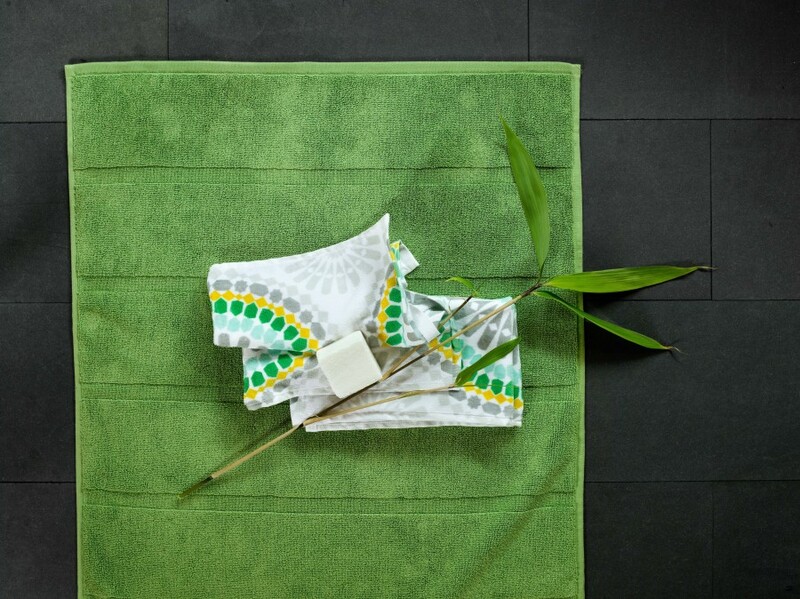 I recently came across this photo series for H&M Home by Yellows Photography. 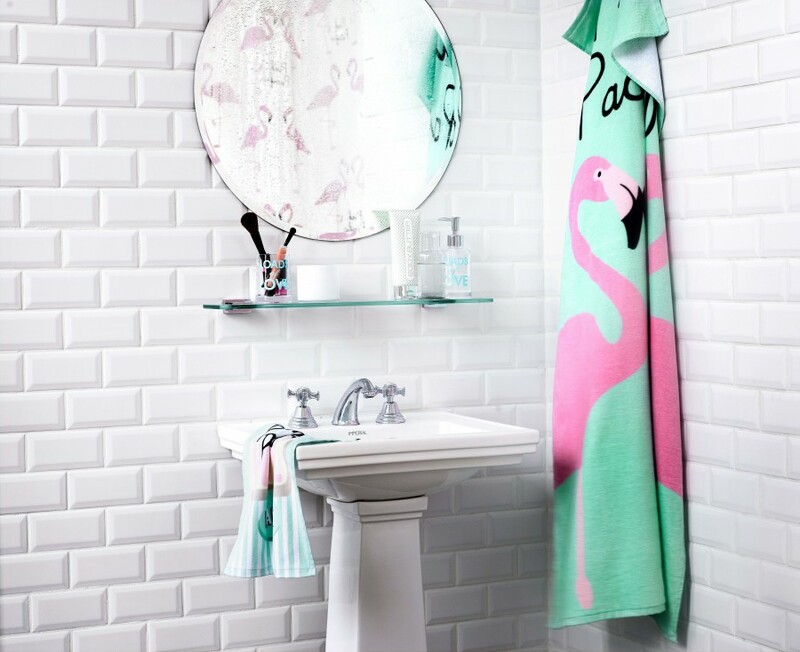 So inspiring, I love both their range of towels and the styling. 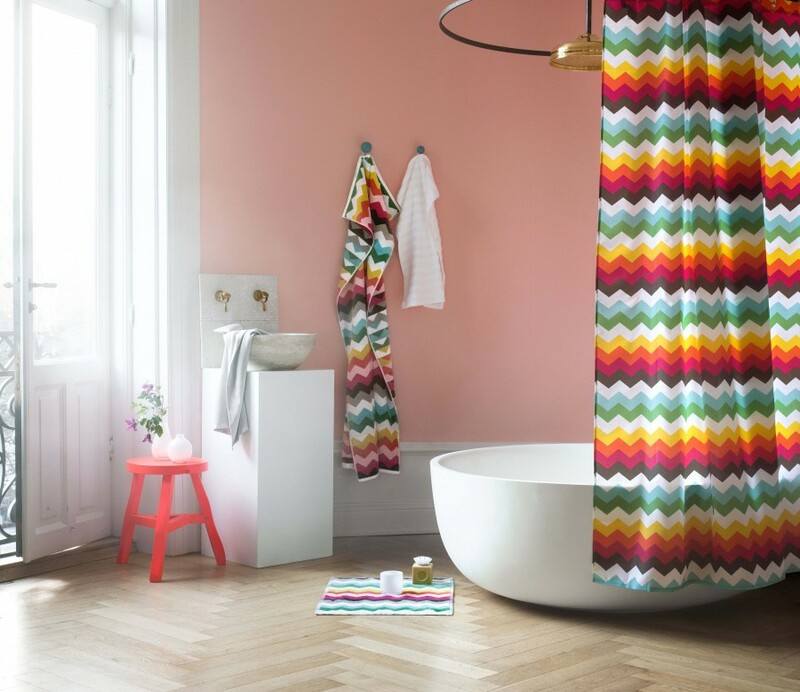 Although H&M Home only ship within the UK, I've found plenty more online finds to include in the following top ten picks. Enjoy your weekend, and I'll see you back here on Monday for another dose of design love! This is FABULOUS! 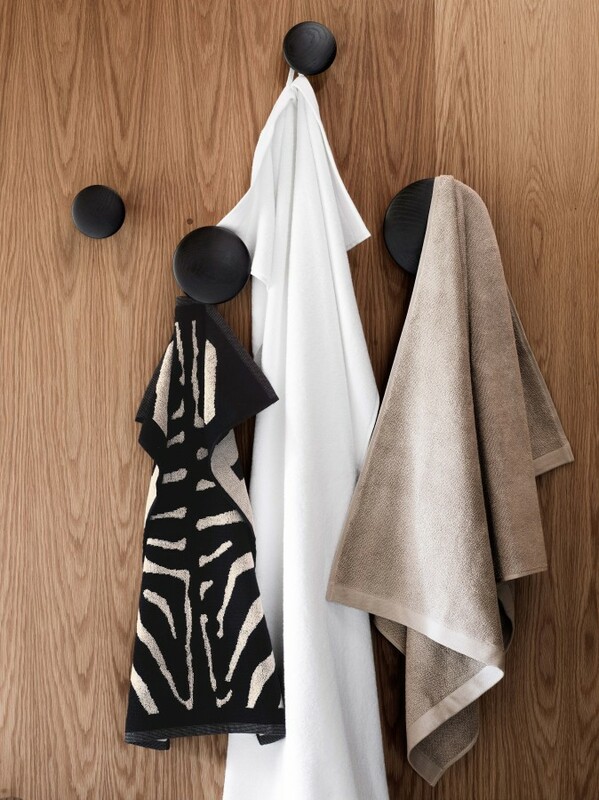 Totally bummed I can't get my hands on those H&M towels!! Love all the options though! Thanks for sharing, Michelle! I love the bright and patterned ones. Colors make me go through the day with more energy. I can just imagine what it would be like to start the day with those lovely patterns. It would definitely keep me in a good mood. Right now I'm going for more of a peaceful effect in the bathroom, which is great too. sometimes I use brighter towels to turn up the energy level and it works out great.